Delhi is said to consist of seven cities as each dynasty founded a new city on a different spot – though this only seems to count the Muslim cities. 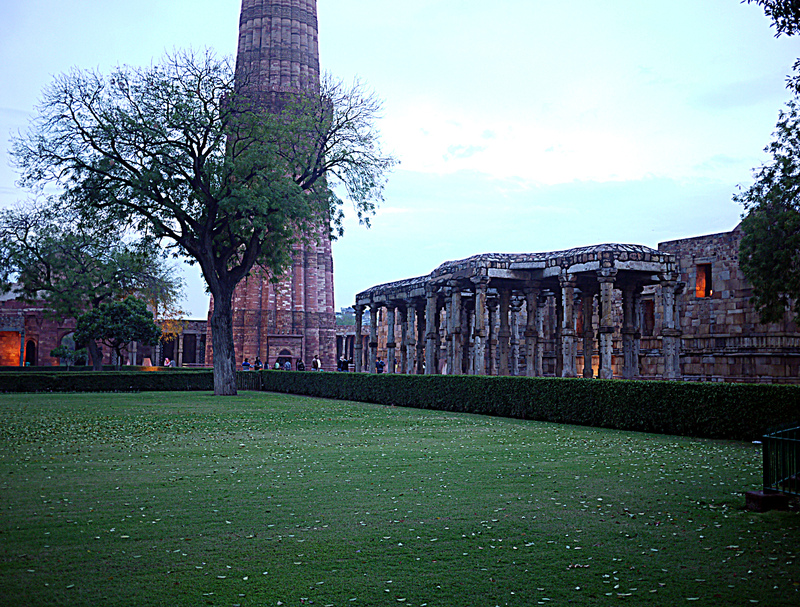 The first cities are in South Delhi and are centred round the Qutb Minar complex. The Qutb Minar is a huge minaret, said to have been begun in 1192 celebrating the Muslim dominance of Delhi, though it was not finished until 1368. 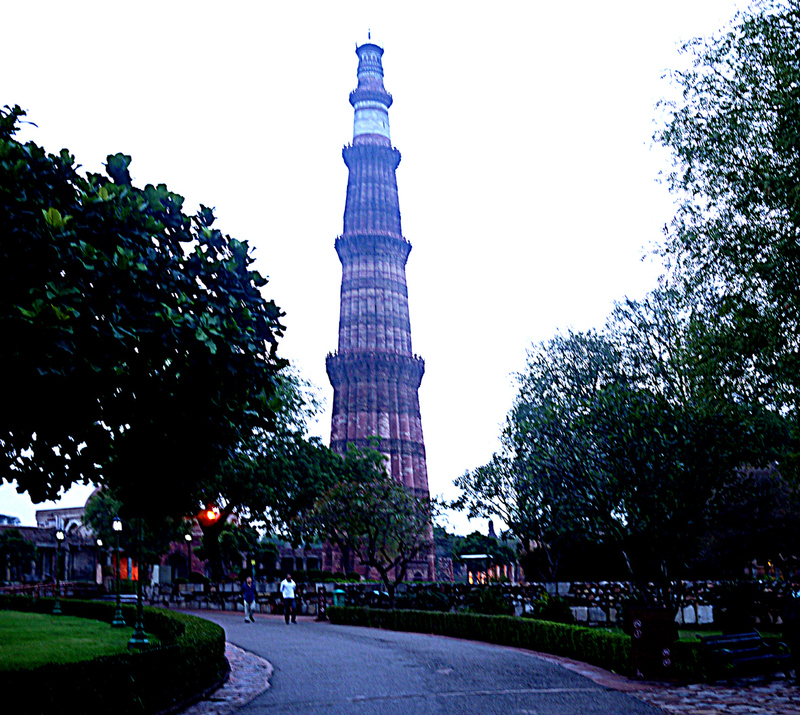 It is said to be the tallest minaret in India. At its base are the remains of a mosque that appears which apparently built from a number of demolished Hindu and Jain temples. Unfortunately it was getting dark when we finally managed to obtained get entrance to the complex, so I was not able to examine it properly. Archaeologically the most interesting feature is an iron pillar at the centre, made of an advanced form of iron that is rust resistant. On it there is an inscription in Sanscrit referring to a King Chandra, who lived around AD 400. It appears that originally it was erected elsewhere, and brought to the site in the 11th or 12th century AD.